Le WorkCentre C2424 n'est plus commercialisé. Editor's Choice Award - "When it comes to the quality of document printing, the C2424 is excellent." Outstanding Achievement Award - Buyers Laboratory Inc. honored Xerox and the WorkCentre C2424 color multifunction system with an Outstanding Achievement Award for "Outstanding Document Imaging Technology in a Desktop MFP" during their Spring 2005 "Pick of the Year" awards competition. BLI commended Xerox stating, "The migration of this technology to desktop MFPs brings a level of output quality and ease of use previously unavailable in this product category". A+ Box Score. Government Computer News awarded the WorkCentre C2424 color multifunction system with an A+ Box Score in its review. The WorkCentre C2424 earned high praise for its ease of use, speed and high quality output. The reviewer notes, "the WorkCentre C2424 is quite possibly the best affordable multifunction device available today". 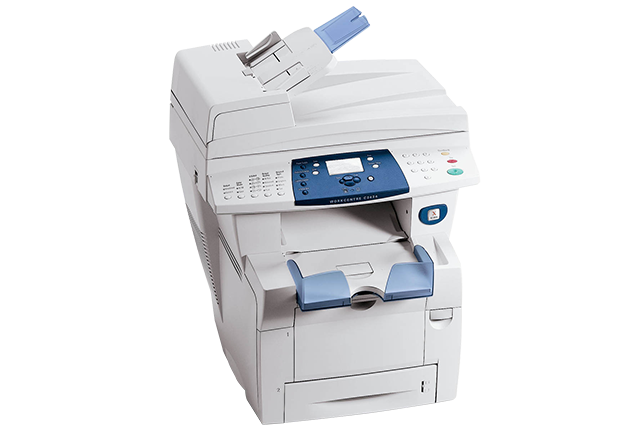 "Editor's Choice" - Better Buys for Business has named the WorkCentre C2424 color multifunction system "Editor's Choice" in the 2005 Mid-Volume Copier and Multifunctional Guide. The guide states "Based on Xeroxs strong solid ink technology, these multifunctionals offer excellent color at a very moderate price." Test Center Recommended designation and a 4 star rating (out of 5) in both the technical and channel program categories. 3 ½ out of 5 in this extremely positive review. 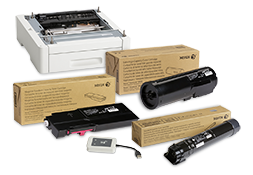 The C2424 earned high praise for its scanning capabilities, output quality and price/performance. "Mid-Market Product of the Year". Coverage is scheduled to appear in the May 2nd issue of the publication.